As a parent, stress is a common part of life. We have experienced every gamut of emotions right from when we found out we were going to be a momma to this beautiful child, and maybe baby blues, anxiety, depression, any extreme emotion is something we've all felt at some point. When our child has a chronic medical condition, it can be another thing completely when it comes to keeping a lid on our emotions. It is horrible, especially when it's something that you didn't notice early on, but you need to be a pillar of strength. So let's address the key points if your child has a medical condition. From your perspective, you may feel a lot of anger towards people; from your partner to the medical authorities for not noticing this sooner, but while you could spend a lot of time playing the blame game, addressing the condition is the best way forward. As the mother, you may feel closer to your child than anybody else in the world, which means that you will experience extreme highs and lows. But addressing the condition is how you should move forward, rather than getting stuck on playing the blame game. Of course, while everybody is going to feel stressed and anxious in one way or another, you need to find the right methods for you to calm down. You need to be a pillar of strength for your little one, but this unnecessary pressure may be your undoing. So, find methods that can work, there are plenty of relaxation techniques you can find online, and it may be a case of trial and error, but you owe it to yourself to operate as evenly as possible. And don't forget the importance of a support network for you, not just your child. Understandably, they may be very scared. It's a natural reaction to be protective of your child, but depending on their age, you can be guilty of sheltering them from the elements a little too much. Sugar coating the facts may not help either, and when you are discussing the condition, it's important to talk to them in relation to how old they are. There is no point treating them like a child if they are old enough to know better. Another thing they may feel, depending on the condition, is ashamed. In going to school, we all remember how difficult it was to be singled out. No child wants to feel different, and so it may be something that needs to be addressed, as they may be worried that they will lose some friends, or have friends who don't understand. Stress is undoubtedly going to enter their lives, regardless of their age, which is thoroughly heartbreaking, especially those times you have to take them to the hospital. It's a very sterile environment, and the best way sometimes to help your child cope with all this equipment, is to talk about what everything is, which helps to demystify this scary equipment. Anything, from the IVs to the medical supply carts, even the medication dispensers, all of these items are large and intimidating to a young child. So, the more they get used to these items of equipment, it will help in the long run. We all hated going to the hospital when we were children, remember? So, in this respect, if it is going to be a regular occurrence, it will be best for you to prepare then before going in. Distractions are always handy as well, from comics to books, or their games console, try and bring a few of their home comforts into this environment. Schools are incredibly empathetic in these situations, but it's up to your child to decide if they want to inform the school properly, and this does depend on the condition itself. But, in speaking to the school, they have experience in this sort of thing, and they will operate with discretion and empathy if you want them to. Maybe your child doesn't want much fuss in relation to this, but in speaking to the school, they will know the best route to take because they understand how your child is in the school environment. You will feel overprotective of your child, and they will feel different and will go through a lot of emotional changes. They may very well take it out on you, and talk about how unfair it is. No child wants to feel different, but especially if it's something that's beyond their control, like an illness, it can be very traumatizing for them, and of course, for you. They may be very aggressive to you because you are the closest person to them. The best advice is to give them a bit of space, and these waves of emotion will come back and forth, but they will pass. While you, as the mother, feel closer to your child, your partner needs a lot of support also. Your partner may feel helpless because they may not be as close, in an emotional sense, to your child. They may find their own methods of coping, and some can be extreme, but remember they need some support too. So you both need time as a couple to cope, not just individually. 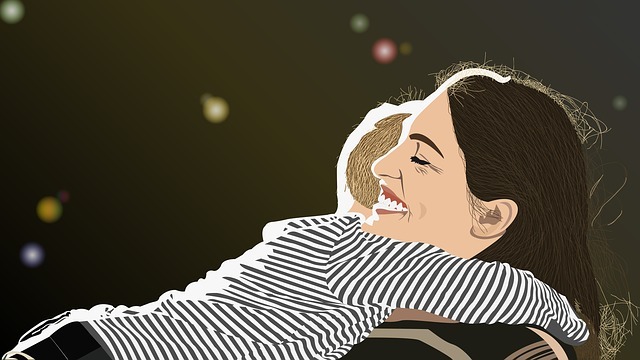 Sometimes, time away is crucial, and you may not want to spend time away because you both want to be near to your child, but that sense of emotional space for the situation may be just what the doctor ordered to help you recharge your batteries. Make sure you have an open dialogue, and even couples without children can suffer from a communication breakdown, it's at this stage you need to be open and receptive to each other. Whether this means having some counseling so you can vent your emotions, only you and your partner will know, but you need to discuss these issues. This can be very difficult because your lives have been shaken up so much. But you can start to settle into some sort of normality, even though there has been so many changes. Sometimes, the best way is to get to “normal” as soon as possible, because this helps everybody cope with the gravity of the situation. Remember, these sorts of habits can take time to form, but they can be part of normality. An excellent example, is parents with disabled children, while it's not a typical scenario, the parents have learnt to make this situation as normal as possible. Normal is such a clichéd word in this respect, but only you and your family know what constitutes a typical life, so by getting back to what you had before the situation happened, it's will help you all to learn how to cope. Guilt is the big emotion, and unfortunately this is something that may not go away. These feelings of guilt will come to you on occasion, and it will be very upsetting, but as life goes on, you may learn how to cope with these feelings. As parents, we always feel that we could do more, so, remember, this is normal. Learning how to cope with this feeling will be how you get through. In addition to this, being fearful is something that everybody in the family will have. You need to stick together, being a family unit will provide that solid framework to help you through this troublesome time. For everybody in the family, living a life with this cloud hanging over their heads can be very stressful and anxiety inducing. Being accepting of these situations can take a long time, and support is the key word throughout all of this. Moral support, emotional support, for you, your child, your partner, for everybody. Without that in place, it can be very unbearable and heartbreaking. Living a life like this, when your child has a chronic condition, means a massive readjustment of your life. Your priorities may change, but your child was always the priority in your life, they may just need a little more care and attention now. Everybody can struggle, from you to your partner, to everybody in between, and of course, your child. Emotional struggles can cloud everything. As a result, you may feel tempted to lock down your emotions and bury your head in the sand. This is not the right way to go, and some people feel this is the most suitable coping mechanism, but you need to strike a balance. This is easier said than done, but remember with your child, they need you to be strong for them, so this means looking after yourself and understanding what you can do to be as emotionally supportive as possible to them, while also recognizing your specific triggers if you are susceptible to stress. It can feel incredibly unfair, like you are cursed maybe, however, this is a normal feeling, but dwelling on these type of emotions will not make you look after your child to the best of your ability. When your child has a chronic condition, it is a very delicate situation, and it is a big battle, but one that you can all win.